Nearly 4,000 volumes donated by Prof. Matthew Holden, Jr. and Mrs. Dorothy Holden comprise the non-circulating collection. Its strengths are in public policy, philosophy and trans-Atlantic history. The room may be reserved for meetings, seminars and roundtables. The Matthew Holden Jr. Lecture featured a prominent public intellectual addressing issues of the day. Inaugurated in 2007, the lecture celebrated the contributions of Matthew Holden, Jr. to public policy and public discourse. 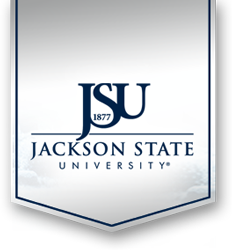 The lecture also acknowledged the Matthew and Dorothy Holden's gift of their personal library to Jackson State University. Over seven years, Ira Katznelson, Theda Skocpol, Glenn Loury, Dianne Pinderhughes, Henry Brady, Ronald Davenport, Sr., and James L. Hudson presented the Holden Lecture. Matthew Holden, Jr. is a nationally recognized expert on public administration, regulatory politics, presidential politics, urban politics and racial and ethnic relations. Among his works are the political science classics–Continuity and Disruption: Essays in Public Administration, The Divisible Republic, Resources and Decisions and What Government Does. Holden has held the positions of the first Wepner Distinguished Professor in Political Science at the University of Illinois in Springfield, Illinois and the Henry L. and Grace M. Doherty Professor of Politics at the University of Virginia. In the policy world, Holden served as commissioner of the Federal Regulatory Commission and of the Wisconsin Public Service Commission. His peers recognized his scholarly contributions by electing him to the presidency of the American Political Science Association and of the Policy Studies Organization. His embodiment of deep intellect, public service and thoughtfulness continues to inspire students of politics and policy and animated the lecture series named for him.